Your Plumbing: Who is Responsible? 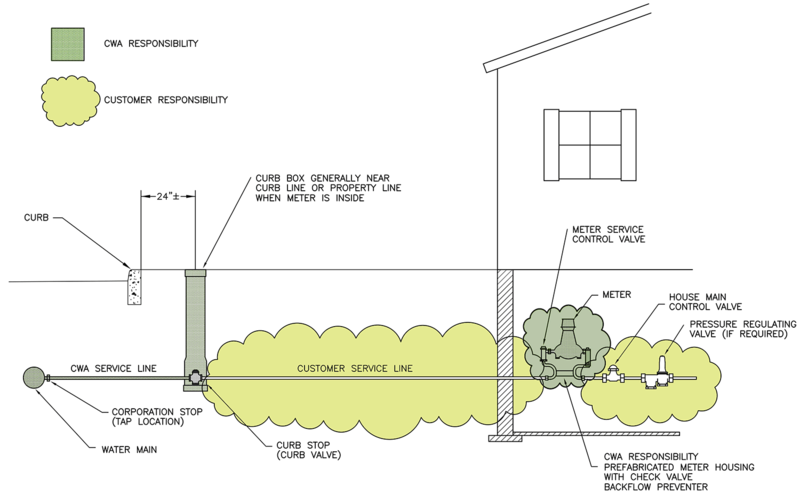 Many facilities that provide water to your home or business are located underground. 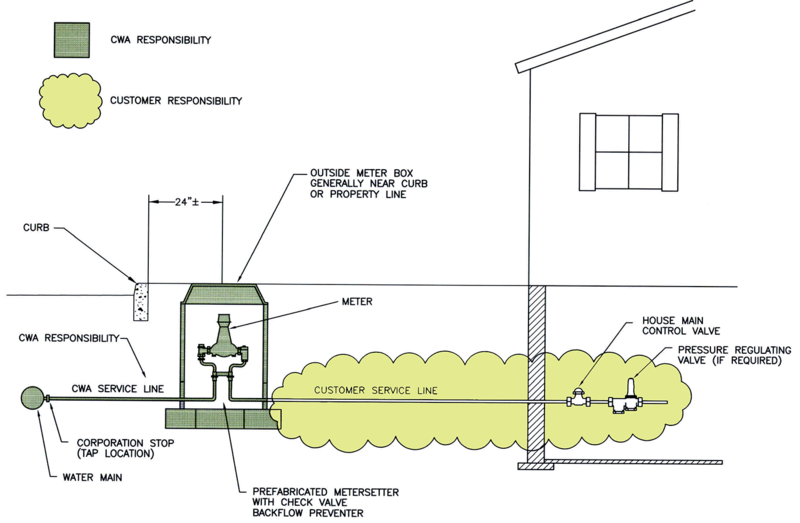 The sketch below shows the location of a typical water service, and who is responsible for what part of it. If you have any questions, call our Customer Service Department at 1.610.876.8181 or 1.800.793.2323.